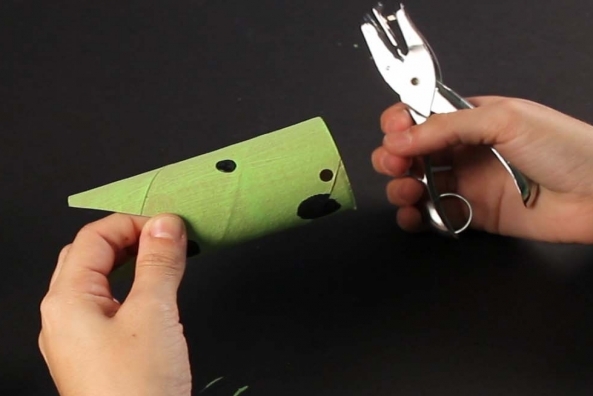 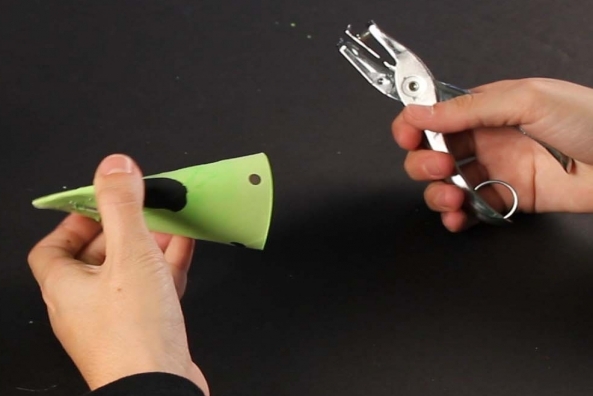 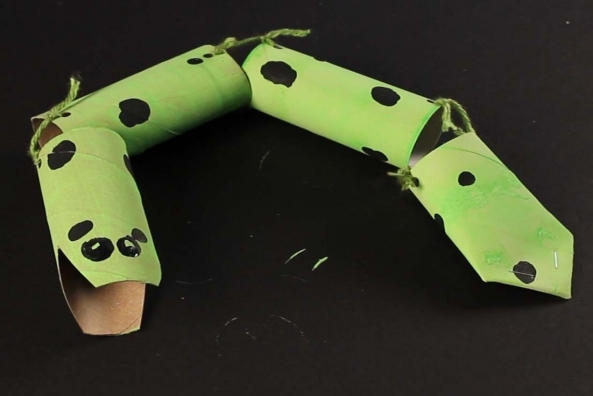 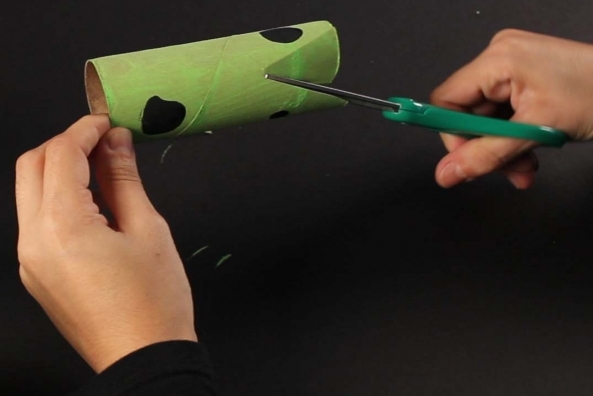 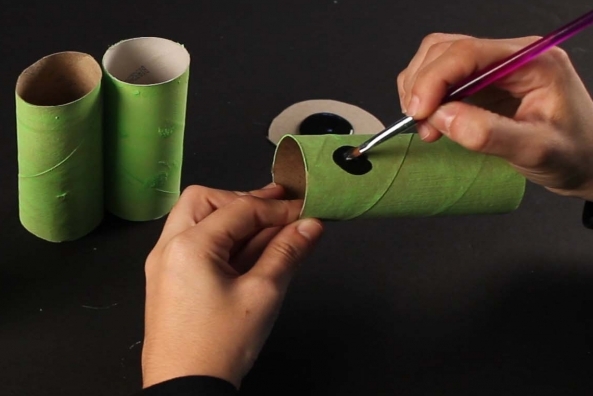 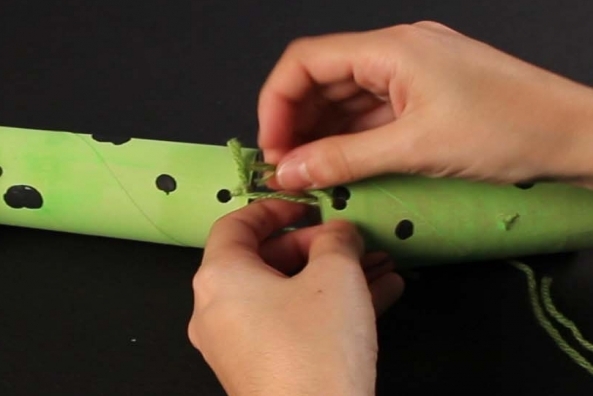 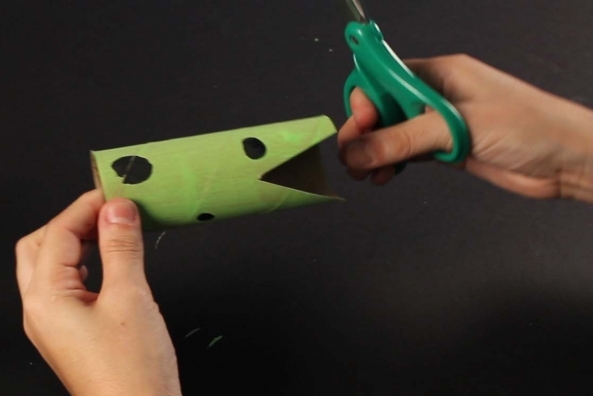 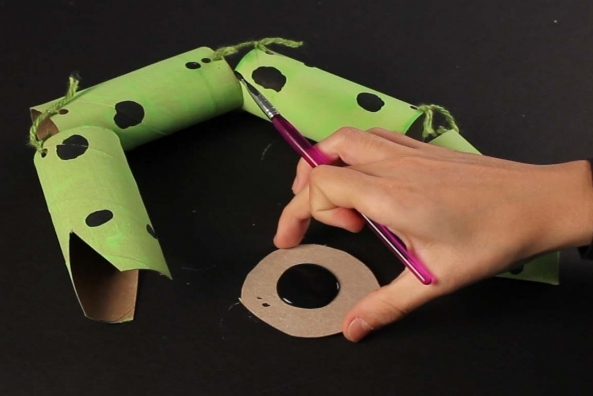 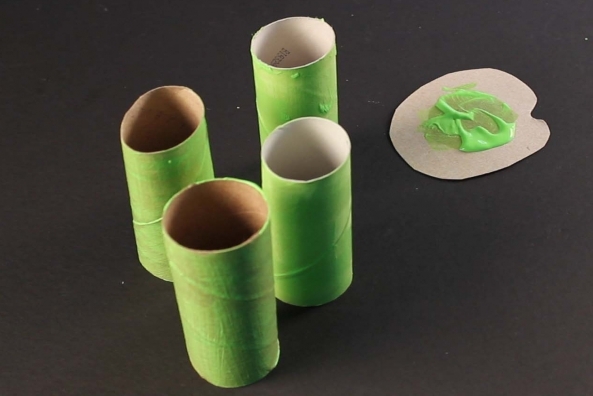 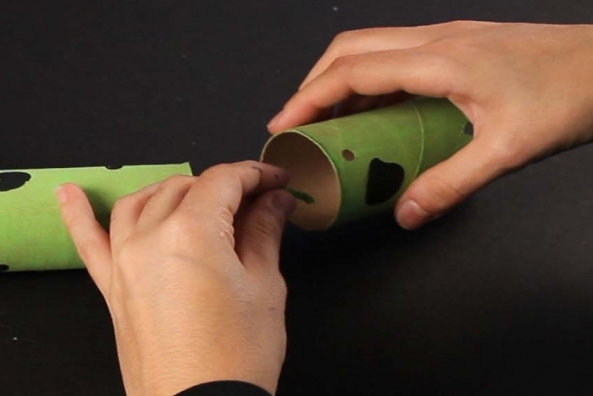 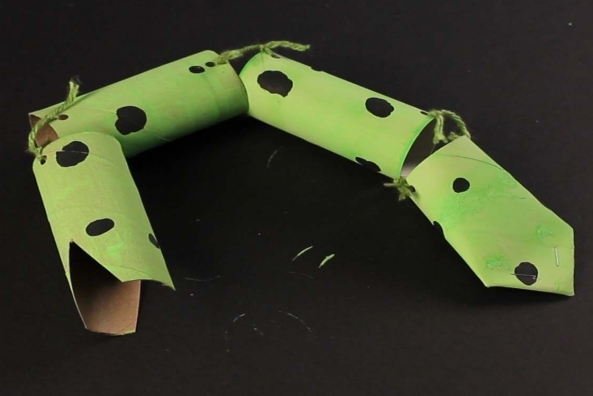 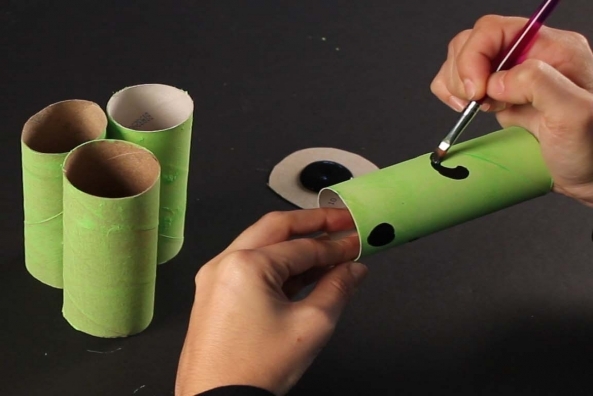 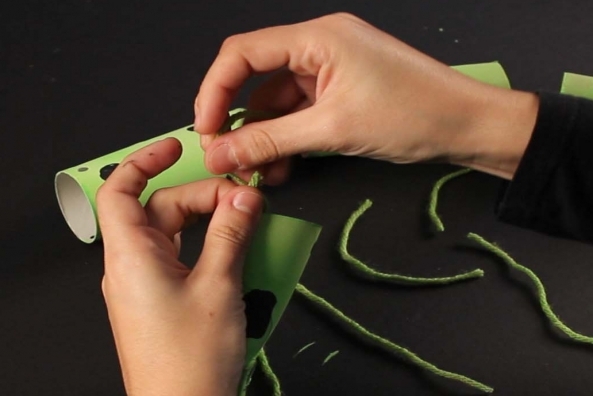 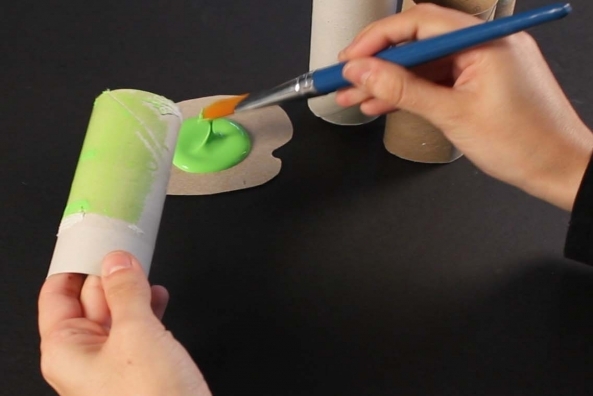 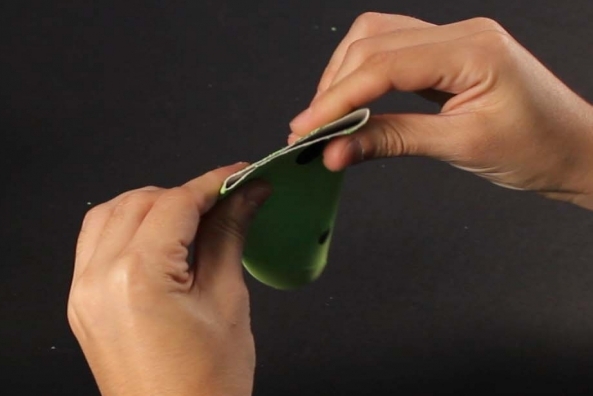 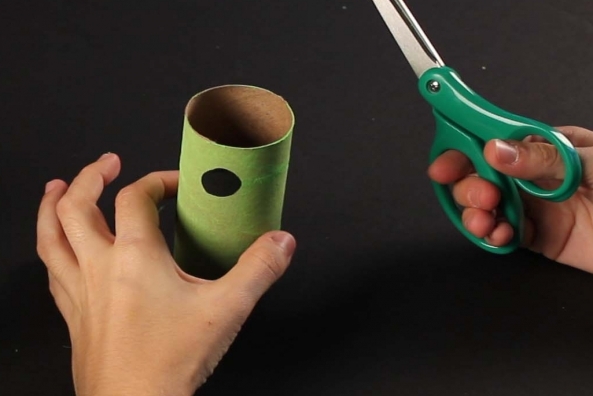 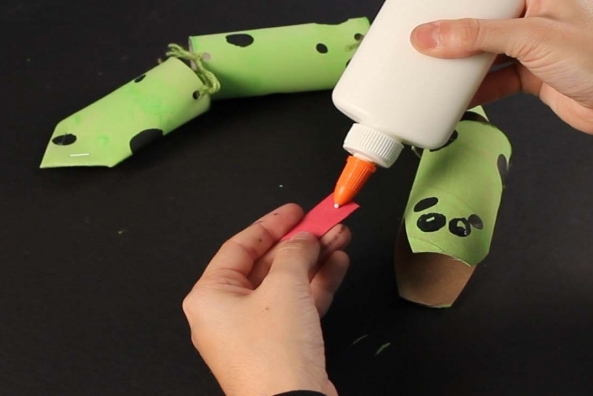 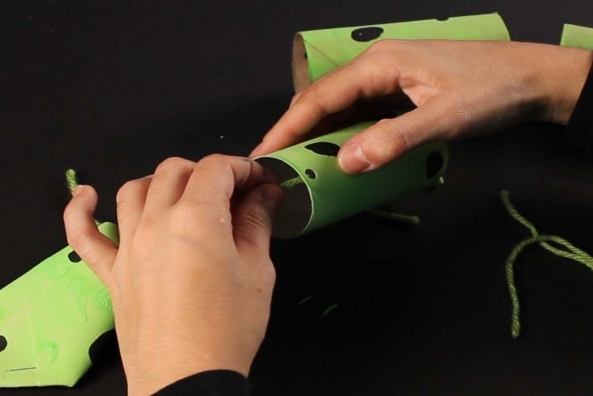 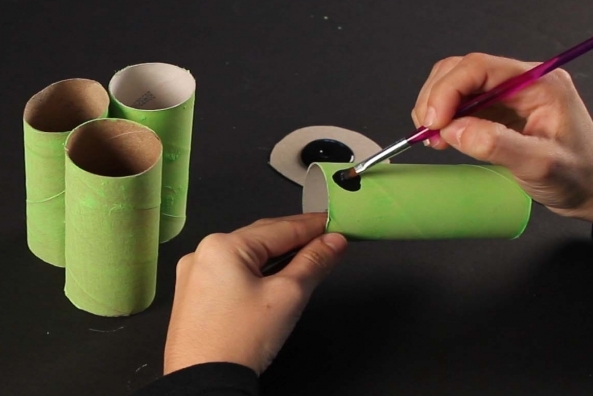 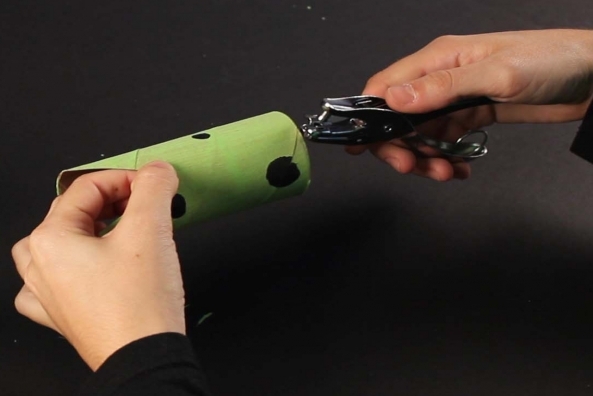 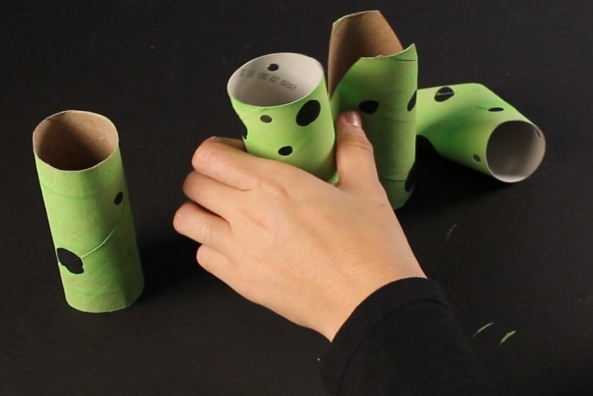 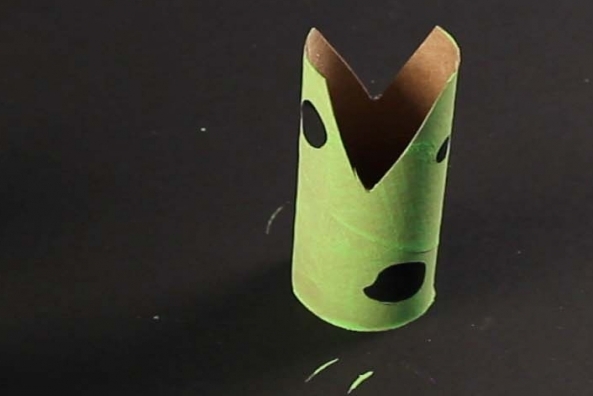 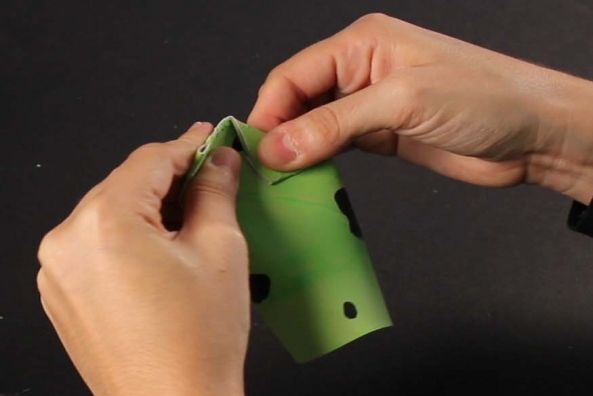 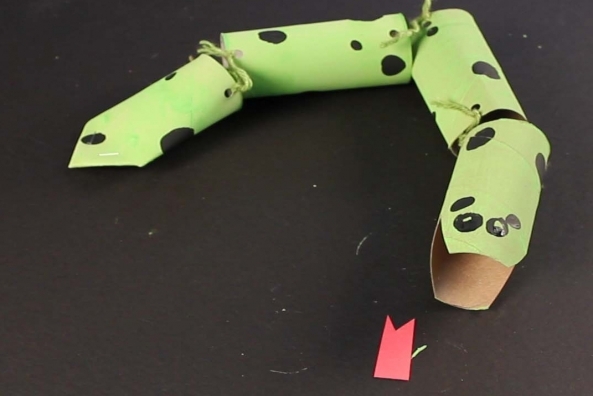 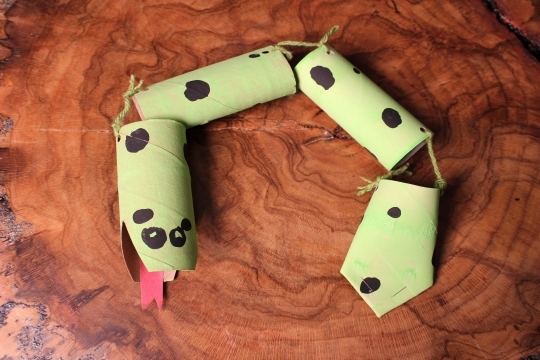 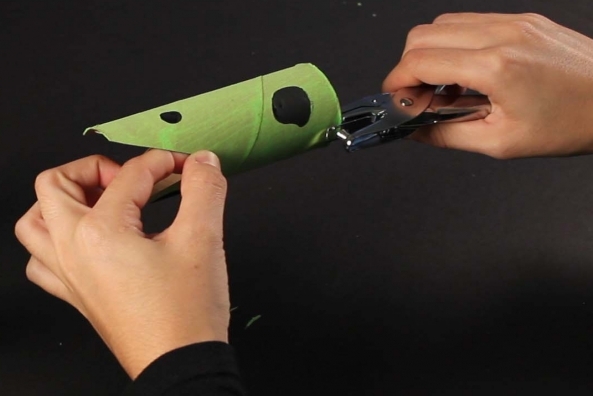 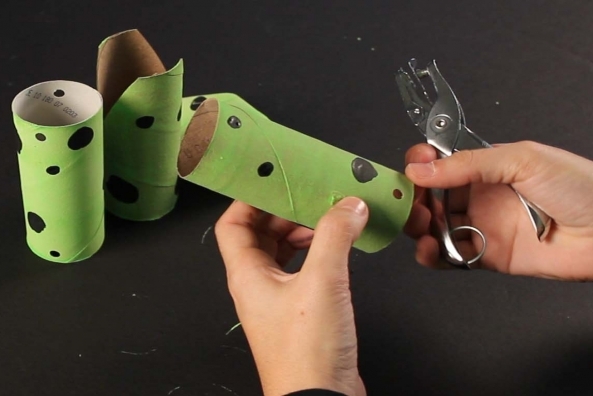 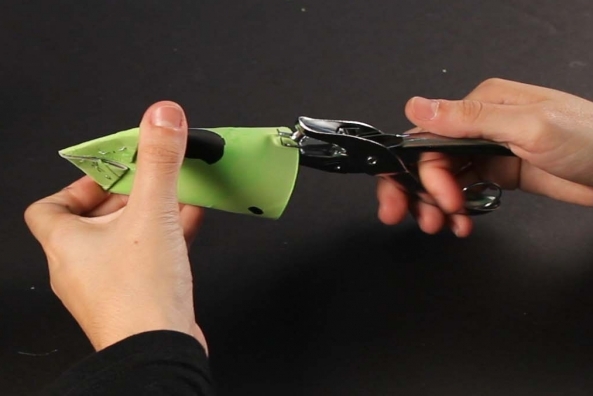 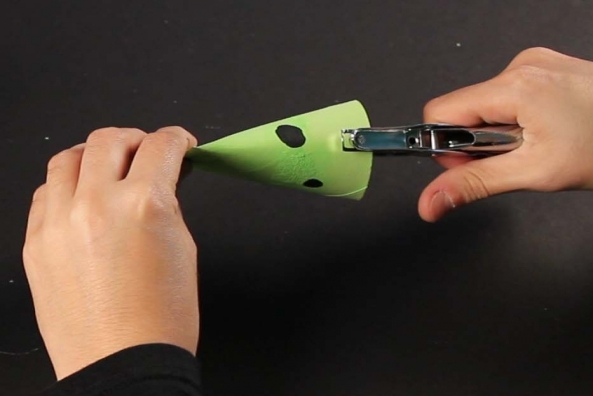 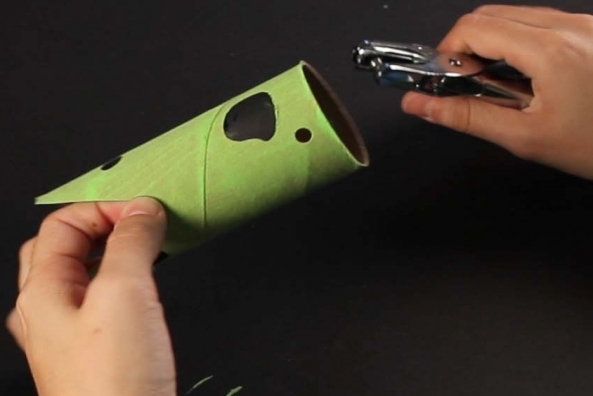 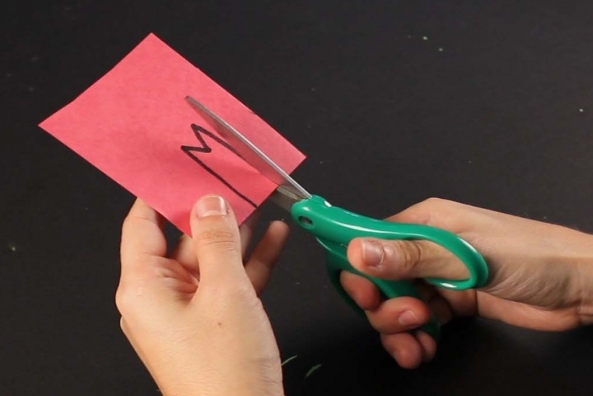 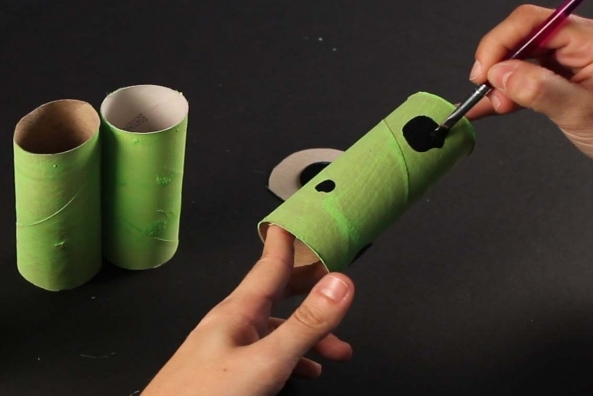 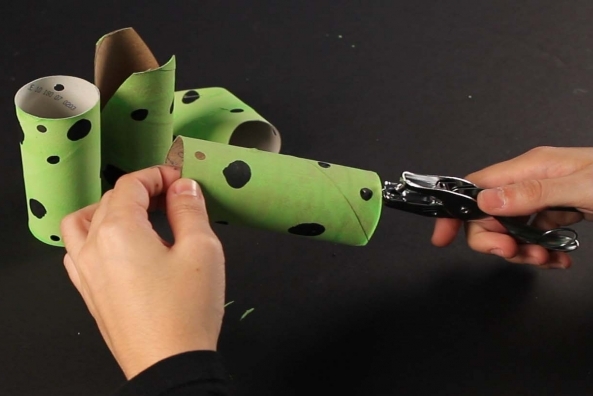 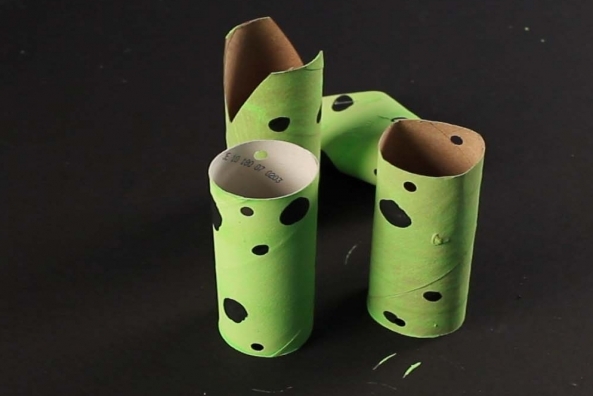 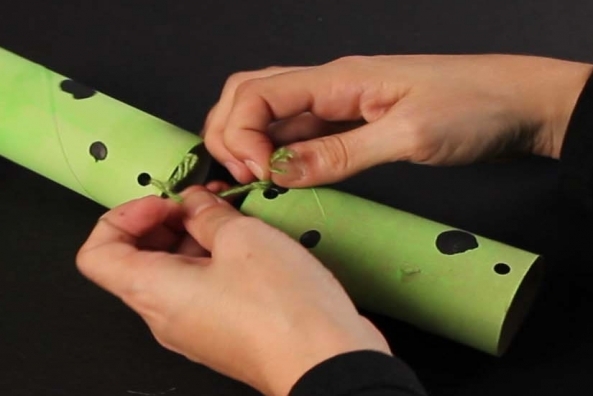 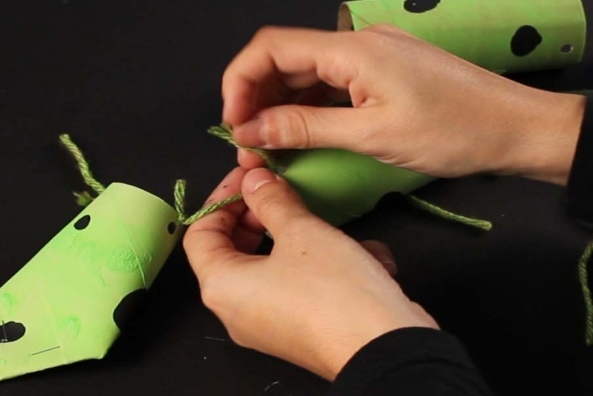 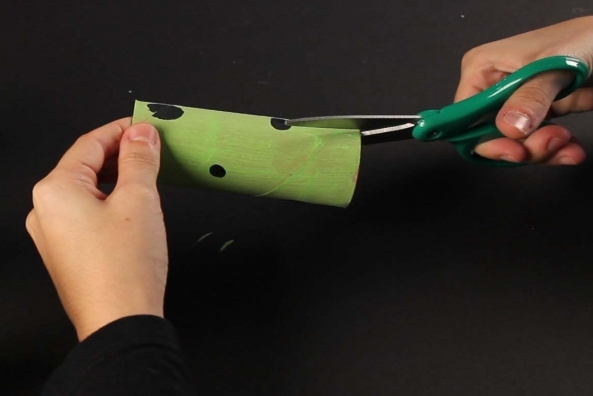 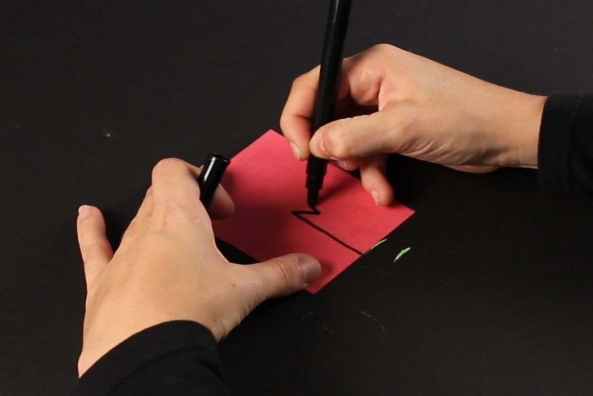 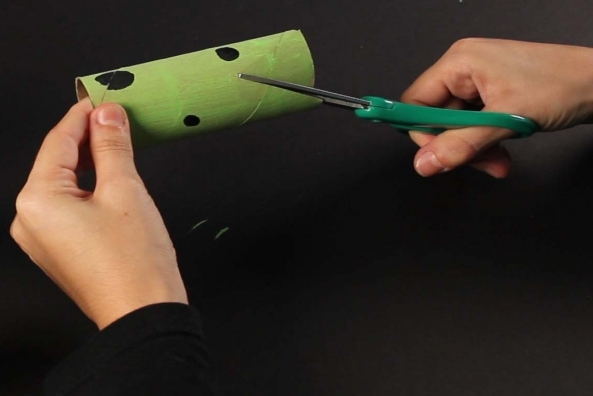 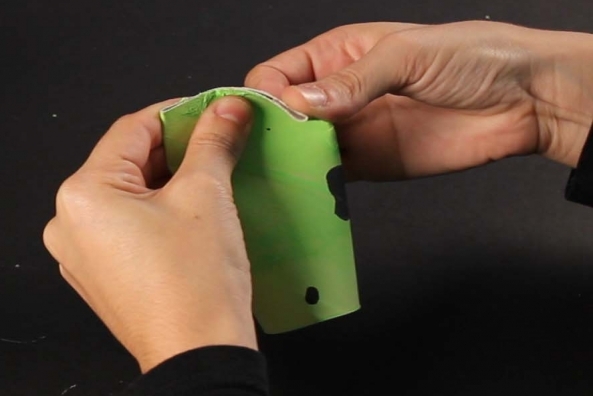 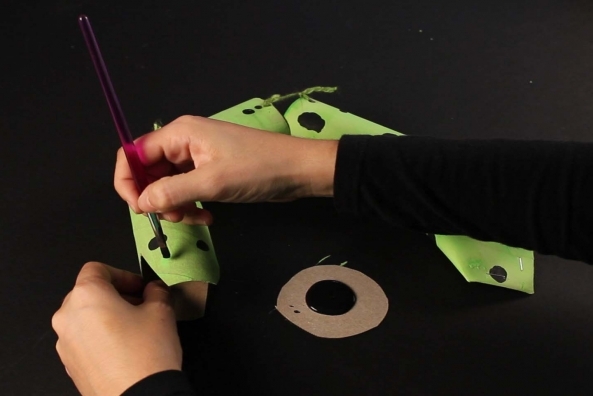 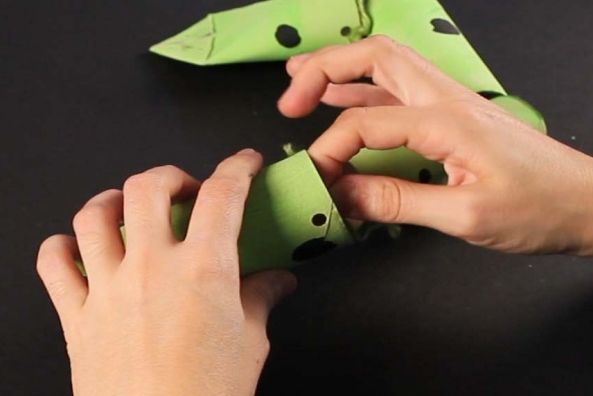 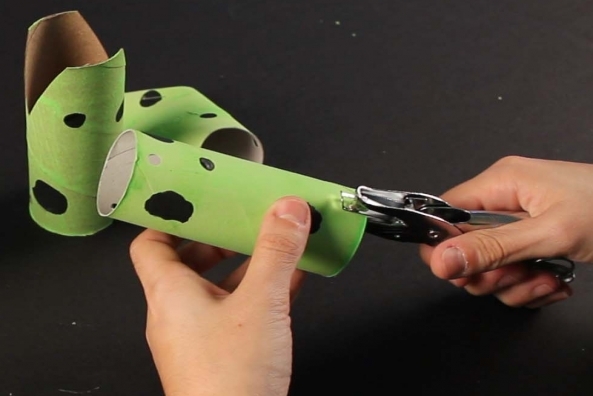 Save those paper tubes and see how long you can make your snake. 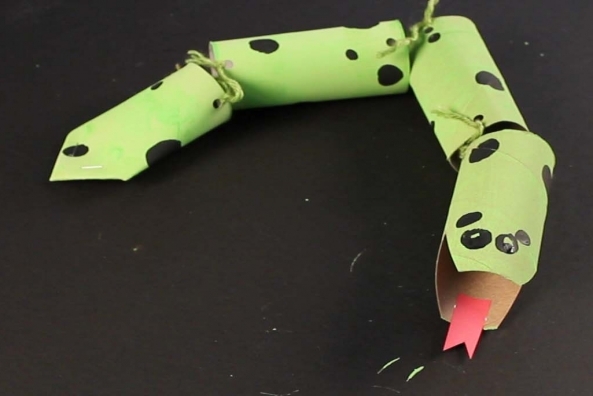 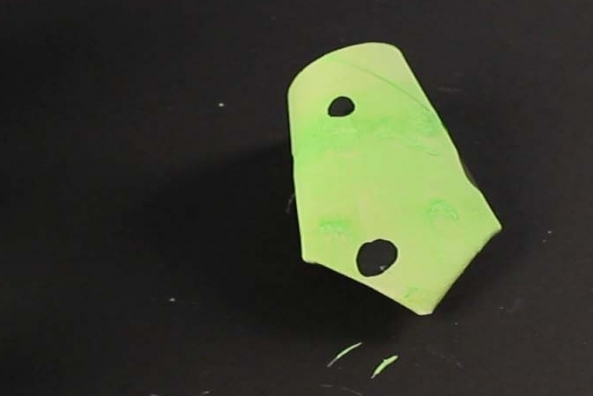 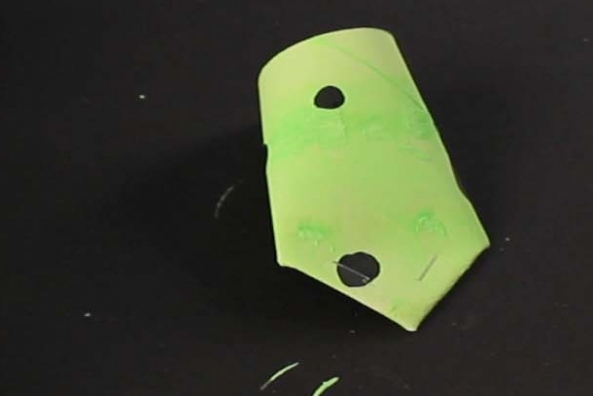 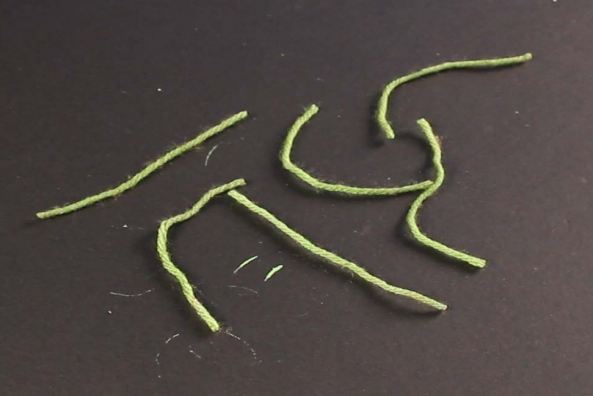 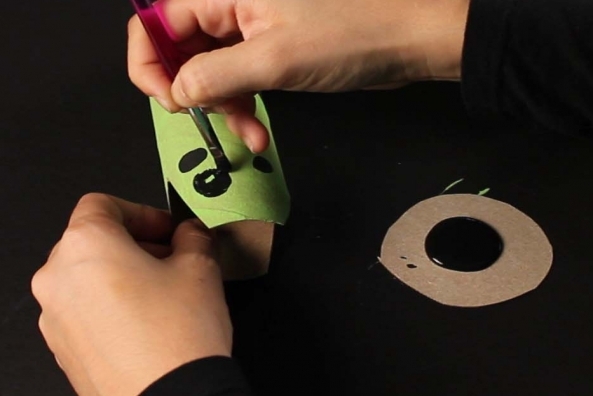 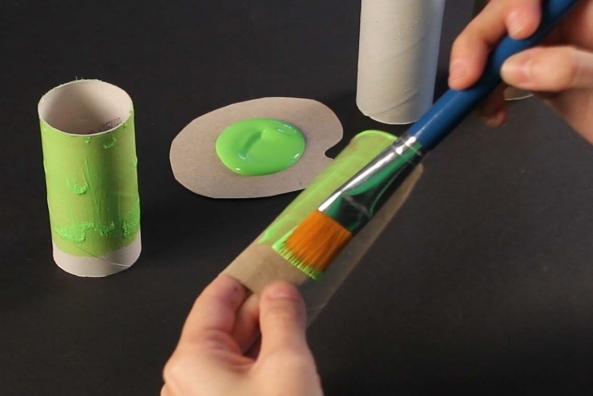 Add a little paint and slither around with this neat craft. 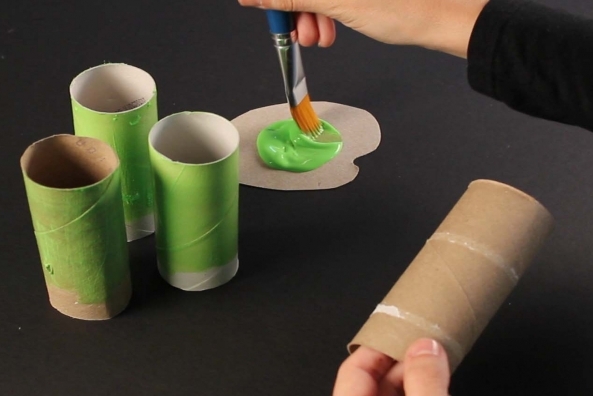 Collect 4-6 tubes and paint them all a color of your choice. 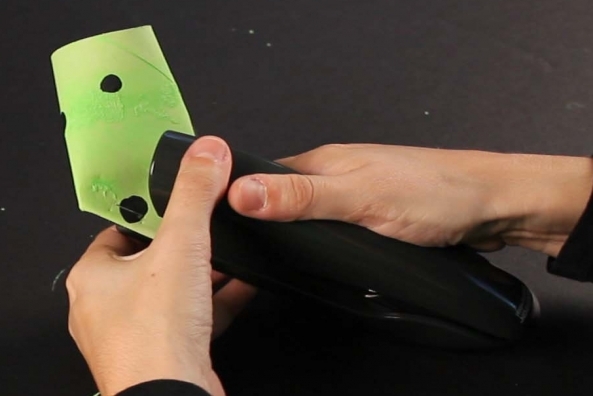 Let them dry completely. 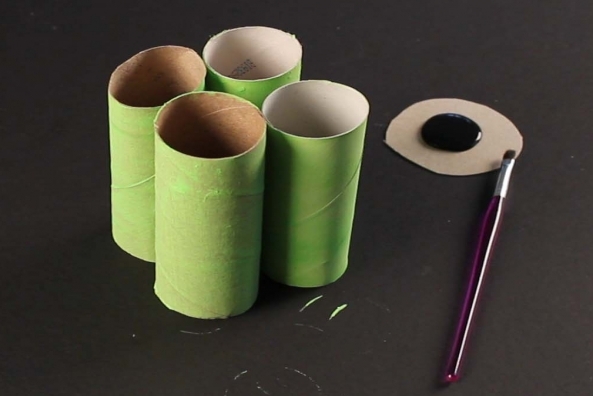 Add detail to each tube. 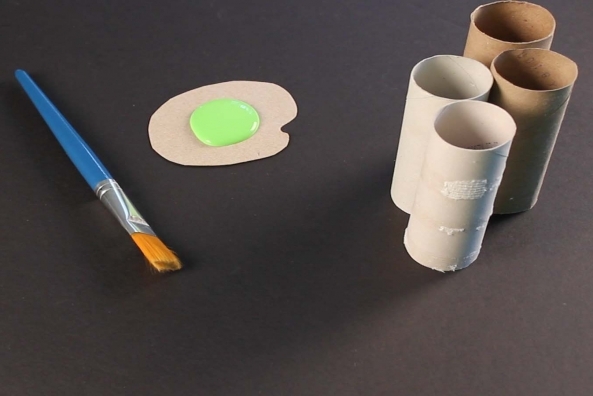 You can add dots of strips with different colored paints! 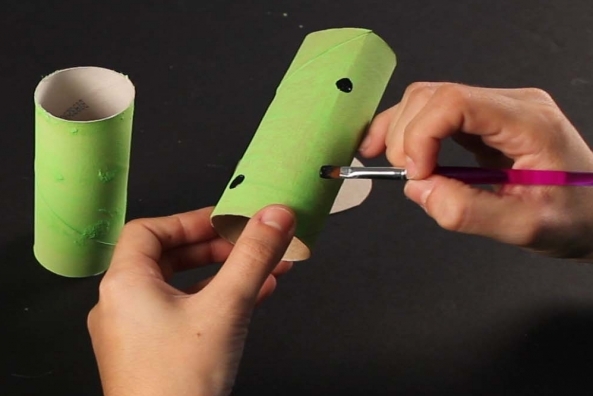 Cut two triangle-shaped pieces out of one end of one tube. 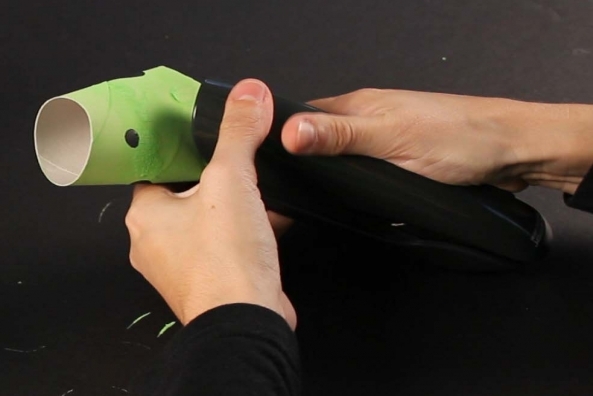 This is the head and you just cut out a mouth. 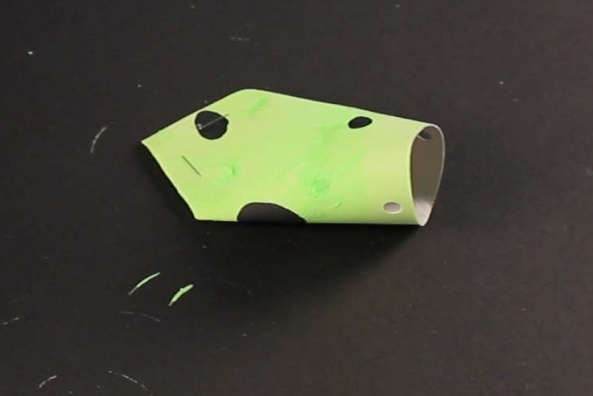 Punch two holes on the other end of the head tube. 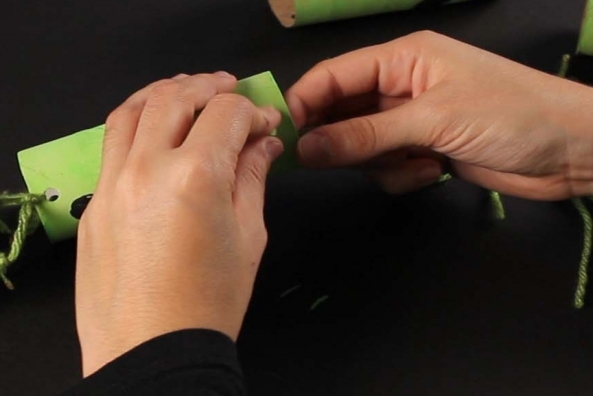 Fold down one end of one of the tubes to made it flat and slightly pointed. 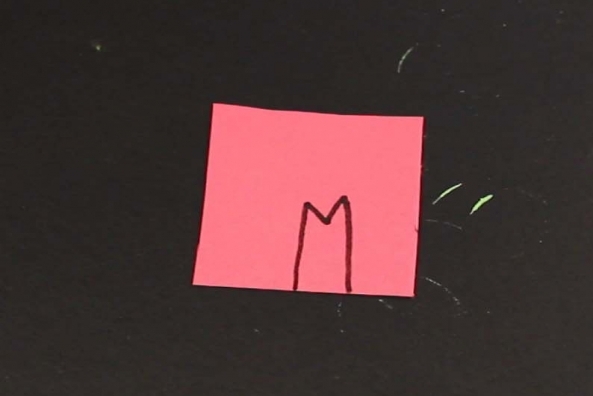 This is the tail. 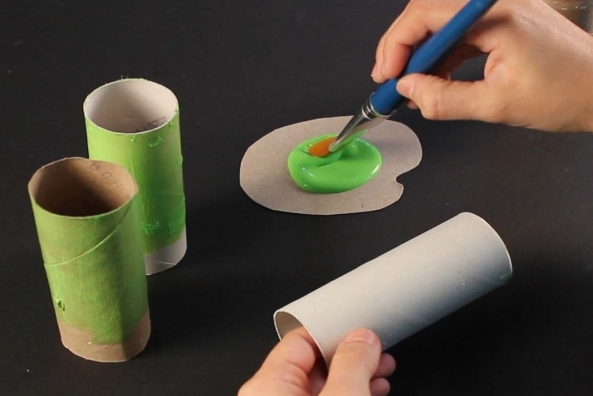 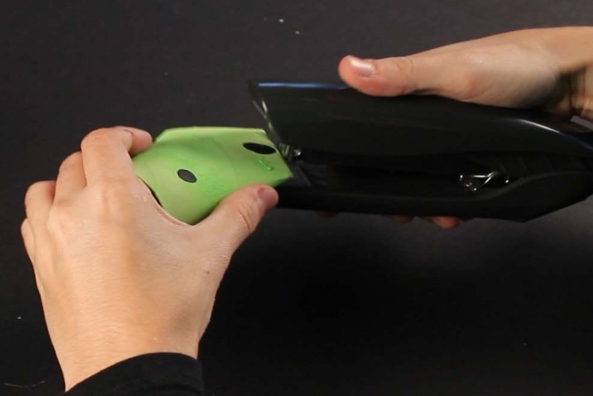 Staple the folded paper tube to keep it in place. 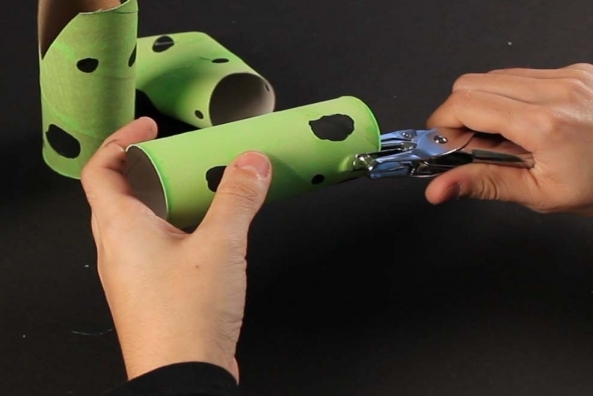 Punch two holes on the other end of the tail tube. 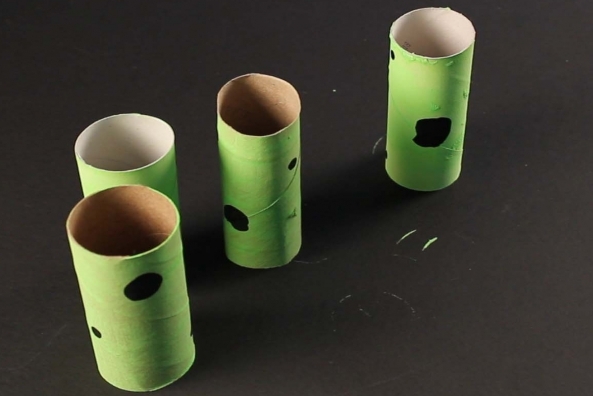 Punch two holes on either end of the remaining tubes. 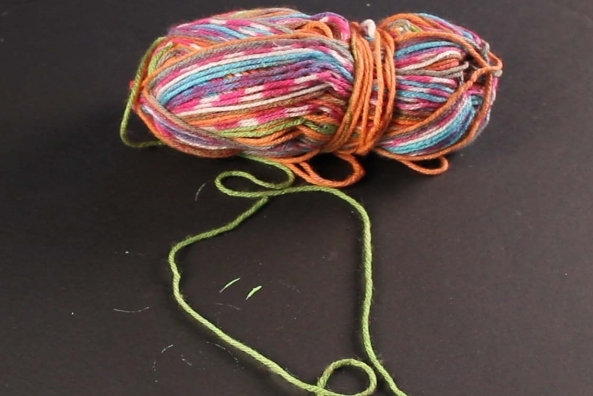 Cut 6 pieces of yarn if you’re doing 4 tubes, 8 pieces if you’re doing 5 tubes and 10 pieces if your doing 6 tubes. 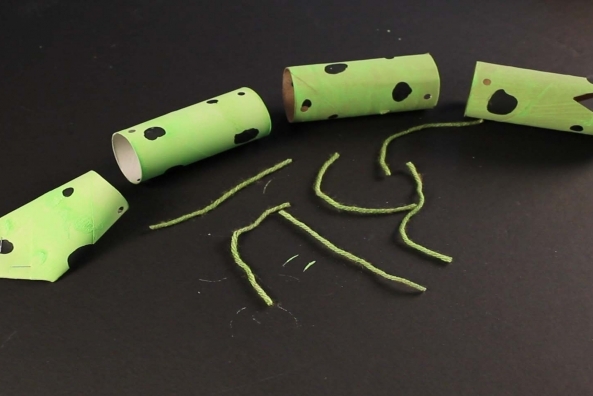 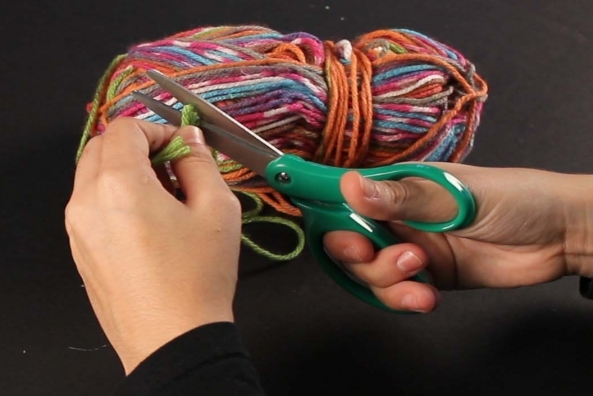 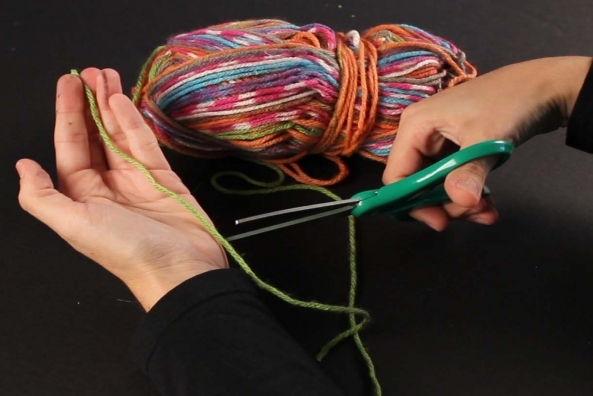 Connect all of the tubes together by tying the yarn through each hole to make a long chain. 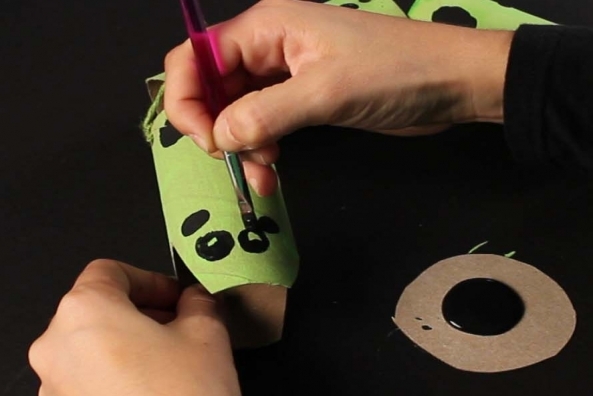 Paint two eyes onto the head. 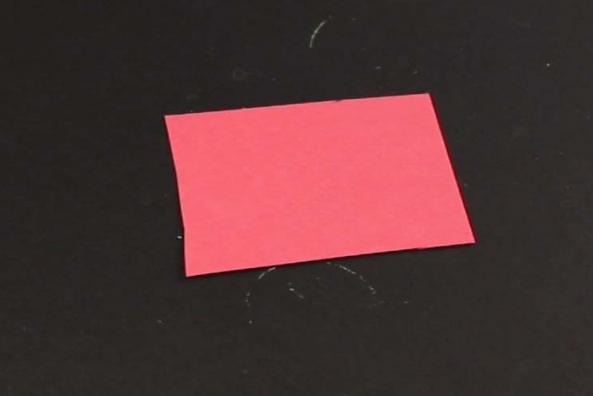 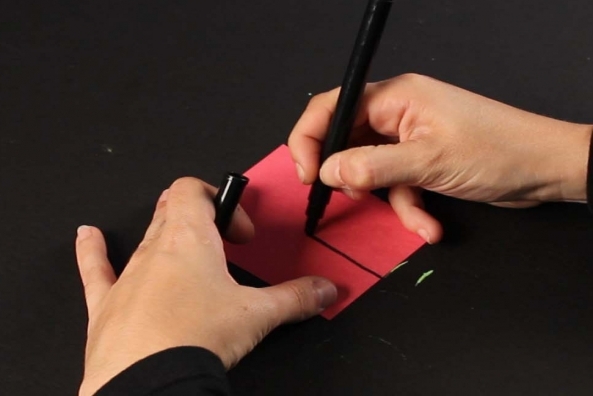 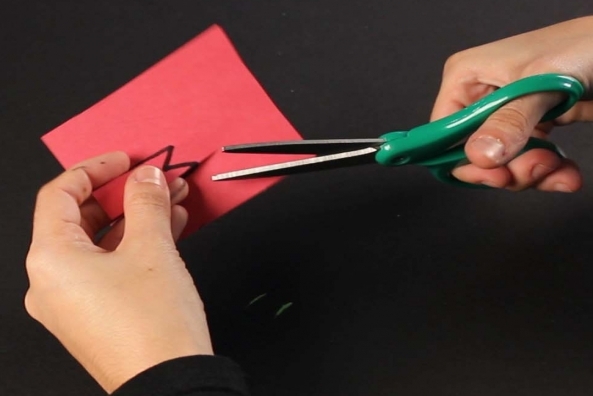 Draw a small tongue on a piece of red construction paper. 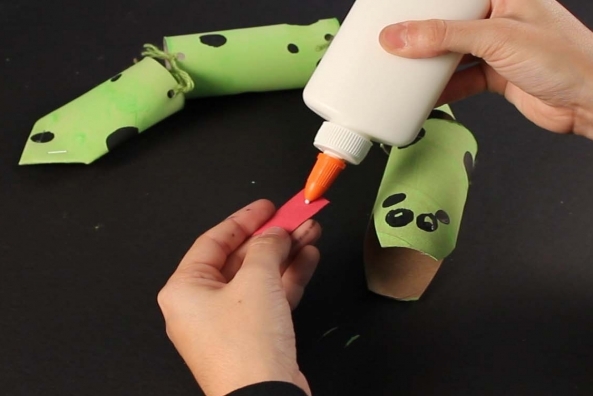 Glue the tongue inside of the snake’s mouth.